An interview on ‘This will change your life forever’ by Brad Feuerhelm for American Suburb X.
Colin Pantall did a really nice review of ‘This will change your life forever’ on PHmuseum’s website. BJP – The British Journal of Photography teamed up with the Austrian Tourist Office to show contemporary Austrian photographers at Photo London 2018. Currently they published an interview on my two series ‘Skeletons in the Closet’ and ‘Middle Class Utopia’. GUP Magazine from the Netherlands published an extended feature on ‘This will change your life forever’ in their summer 2017 edition. A great article on the post truth era, also featuring some images of ‘this will change your life forever’ in Italian newspaper La Repubblica. Feature on ‘This will change your life forever’ on the website of Wired. Installation shots of my solo exhibition ‘Middle Class Utopia’ at Galerie Le Carré D’Art in Chartres de Bretagne, France. Photo by Maren Jeleff. A feature on ‘Just the two of us’ in German computer magazine C’T. Installation shots of the group exhibition ‘Gut gespielt – der Mensch und sein Avatar’ at Alte Fabrik in Rapperswil, Switzerland, curated by Josiane Imhasly. Photos by Peter Baracchi. ‘Golden days before they end’, the winner of last years Cortona on the move Award, will be on display at the 2017 edition of the festival. The British Journal of Photography selected an image of ‘This will change your life forever’ as cover picture. The magazine also featured an article about the series. 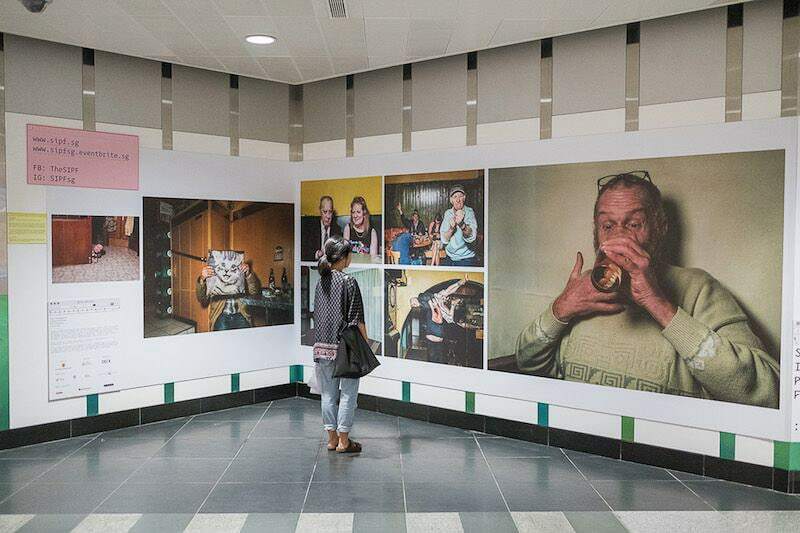 ‘Golden Days before they end’ was on display at a public subway station in Singapore, which was part of the exhibition of SIPF – Singapore International Photo Festival. © Klaus Pichler, 2019. All rights are reserved. No use of images without permission.